The ”Five Islands” are situated in the southwest of Koh Samui, opposite of Taling Ngam, nearby the Siam Residence. 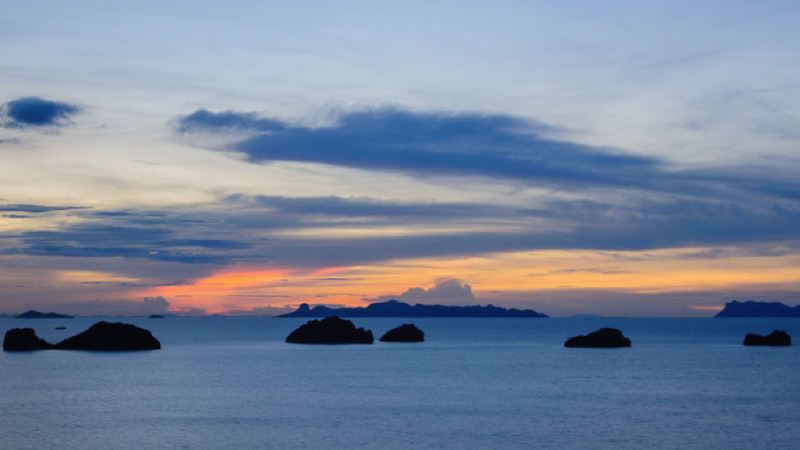 In Thai, they are known as “Koh Si Koh Ha”, which means “four islands, five islands”, because one of them is hidden behind another. The 5 islands are the home to the protected birds “swifts”. Their nests are very famous and valuable, as it is the main ingredient of the expensive bird’s nest soup. The only human inhabitants are “Sea Gypsies”, who lives in small wooden homes on the cliffs. Their main task is to protect the nests of the swifts from poachers. With traditional long-tail boats you can enjoy a trip around these islands and explore caves, have a picnic on hidden beaches, limestone pinnacles and much more. The Five Islands are a great place for exploring the underwater world in crystal clear water. It can be a funny family excursion or a romantic trip into the sunset.